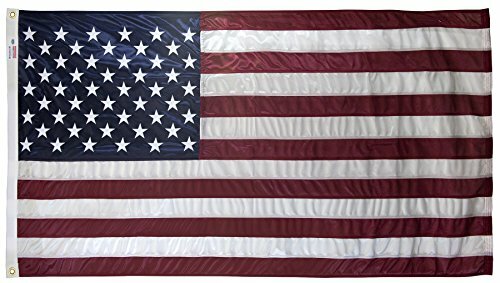 This is a Premium, Full Standard Size (3x5) flag made of bright, all-weather, highly durable NYLON (Perma-Nyl), NOT cotton, polycotton or polyester. Flag is fully sewn (not printed), and made in the USA by Valley Forge. For best value, buyers should purchase from sellers who do not sell seconds or defects. Made of premium quality Perma-Nyl nylon, this flag is ideal for rainy areas because of its quick-drying ability! With embroidered stars, sewn stripes & a combination of strength and brilliant colors, it will fly in the slightest breeze. Made by Valley Forge Flag. Made in the USA. 100% Nylon. 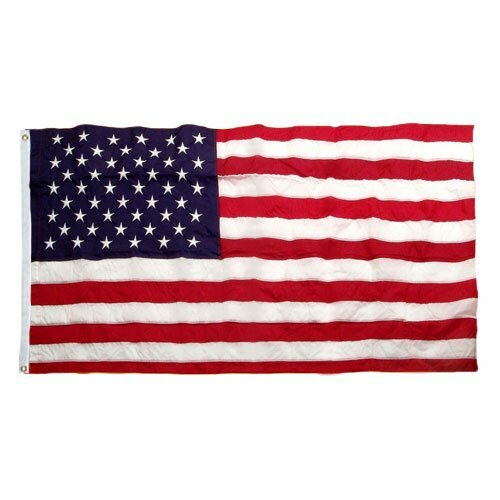 These finely made flags are a popular choice because of their very reasonable price, excellent color fastness and outdoor durability. This is considered the "all weather flag". 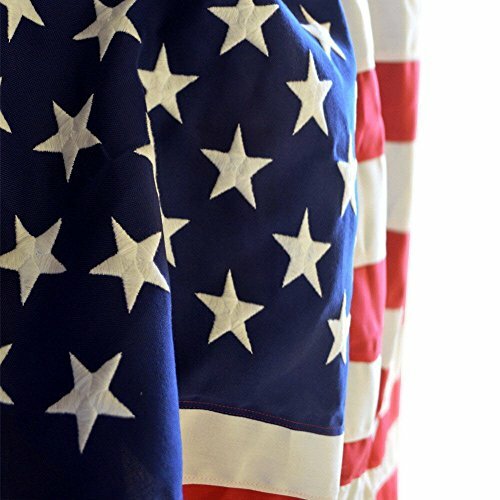 These flags have sewn stripes and bright white embroidered stars on an Old Glory field. They are constructed with heavy canvas heading material, 4 rows of stitching at the fly end, and rugged brass grommets. 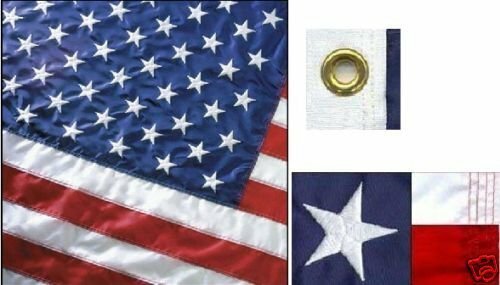 These flags are 100% American made! 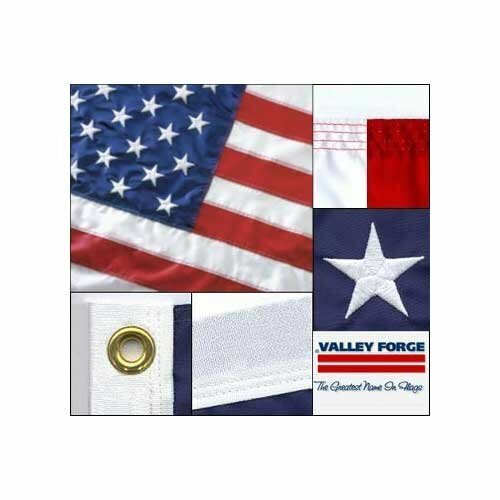 Discover the ideal applications for a nylon and sewn polyester flag respectively. See the differences in fabric and the advantages each one has to offer. The flags used in this video are the Valley Forge Perma-Nyl and the Valley Forge Koralex II. 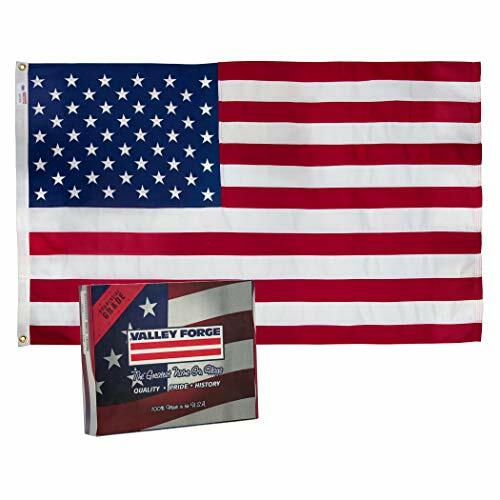 Want more Valley Forge Nylon Flag similar ideas? Try to explore these searches: Mountain Hardwear Hiking Shorts, Seagate 80gb Laptop, and Bourbon Whiskey Essence.